Wynn Interactive, never too excited about setting up residence in New Jersey, is leaving the Garden State for good. The digital entertainment company cancelled its online gaming application with New Jersey earlier this month, two years after Steve Wynn initially showed interest in entering the newly legalized market. It was 28 years ago that Wynn sold his Golden Nugget Atlantic City property and departed the east coast for the glitzier Las Vegas Strip, where he became a gaming legend. In a letter to the state’s Division of Gaming Enforcement (DGE), the company’s online division said that “at this time, Wynn does not wish to proceed with its application.” It added that this was a formal request to withdraw its iGaming application completely. DGE Director David Rebuck granted the appeal two days later, on September 4th. Though New Jersey’s iGaming beginnings were unquestionably disappointing, with revenues failing to achieve pre-market forecasts, the market has slowly but surely been embraced by players, and technical glitches experienced in the early days have been largely remedied. Geolocation technologies are now adequately identifying where users are playing, and deposits and withdrawals to player accounts are being performed at much higher success rates with the help of new credit card codes and additional payment processors like PayPal returning to the scene. Yet Morgan Stanley still slashed its five-year estimate for the US online gambling market from $5 to 2.7 billion last March, noting concerns that politicians “remain unconvinced” that iGaming is worth the hassle for what limited tax revenue it might generate. 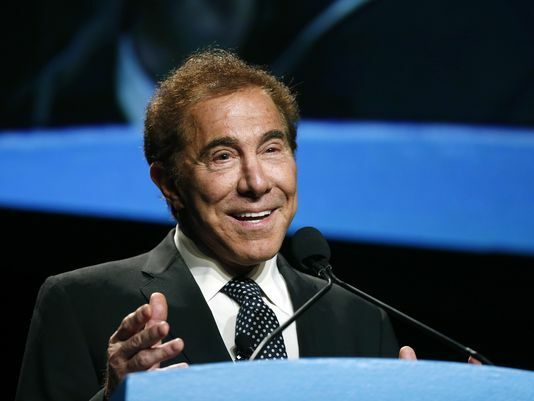 Wynn Interactive’s partnering with Caesars in the Garden State also proves its billionaire owner was eager to enter that market. But Wynn didn’t become rich by not making shrewd decisions, and apparently he doesn’t see money in them thar tills. Wynn has walked back his pro-iGambling position recently, with some pundits citing his growing relationship with Las Vegas Sands CEO and RAWA underwriter Sheldon Adelson as the cause. Adelson is using his political influence to push GOP lawmakers into supporting the Restoration of America’s Wire Act, a bill that would outlaw all forms of Internet betting if ever gets passed an enormous gauntlet on the Hill. Adelson and Wynn came together at the 2014 G2E Global Gaming Expo, where both expressed their opposition and concerns to Internet wagering. GOP frontrunner Donald Trump has also endured a long, contentious relationship with Wynn, the two men playing the lead roles in “The War at the Shore,” a 2012 book analyzing the high-stakes battle between the two titans between 1995 to 2000. For now, Atlantic City and New Jersey Internet gambling will have to wait to be great.